Namaste Tower is a supertall skyscraper under construction in Mumbai, Maharashtra, India. It will be 300 metres (984 ft) & 62 floors mixed use tower that will house a hotel, office and retail space. 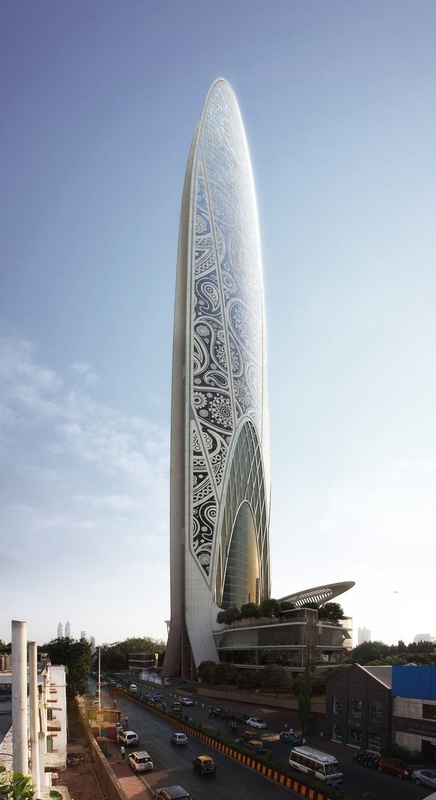 It has been designed by Atkins, Dubai. It will have 120,000 m2 of 2Gross Construction Area, 380 key luxury W Hotel, retail & office space will be 15,000 m2. It resembles the ‘Namaste’ gesture: two wings of the hotel are clasped together like hands greeting.